This past Monday was spent entirely on a bus. Yes, the entire day on a bus. Wasn’t too bad, but I obviously didn’t get a chance to really make anything. However, Sunday afternoon my mom and I made some gluten-free cinnamon rolls for a tasty snack. We used South Beach Primal‘s recipe, which you can find here. 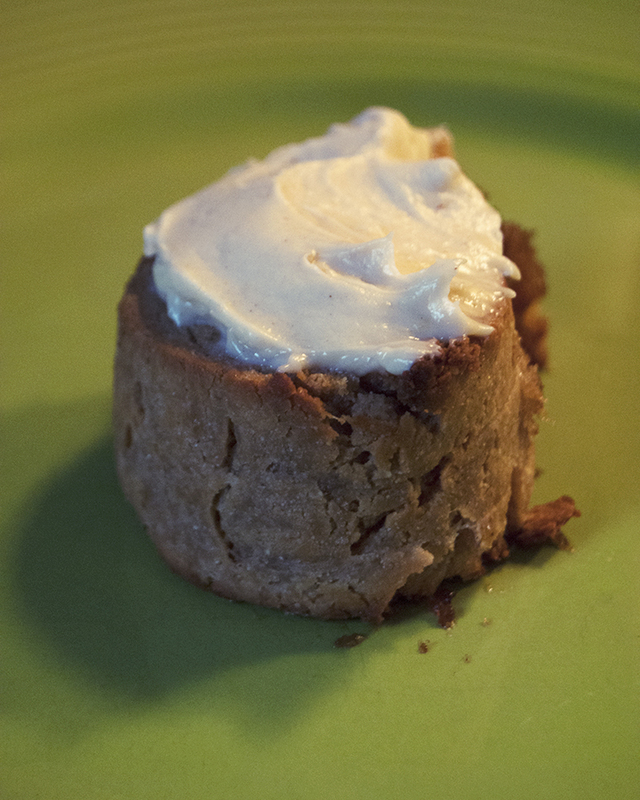 We did change the filling to be a more traditional brown sugar, cinnamon, butter, with some pumpkin butter mixed in. And also subbed out the honey for maple syrup instead. My mom also made a pumpkin cream cheese icing to top them off. I was quite impressed! Cinnamon rolls were always our Christmas morning breakfast, So I’m happy to have found a recipe to use for them this year! I’ll probably make some orange cream cheese icing, since that was always my favorite. I hope you enjoy these cinnamon rolls if you decide to give them a try! Do you have a traditional Christmas morning breakfast? I’d love to hear from you in the comments and connect with you on my Facebook page.